but MIG Welding pipe roots is one application where downhill mig welding works really well with very little risk of cold lap. 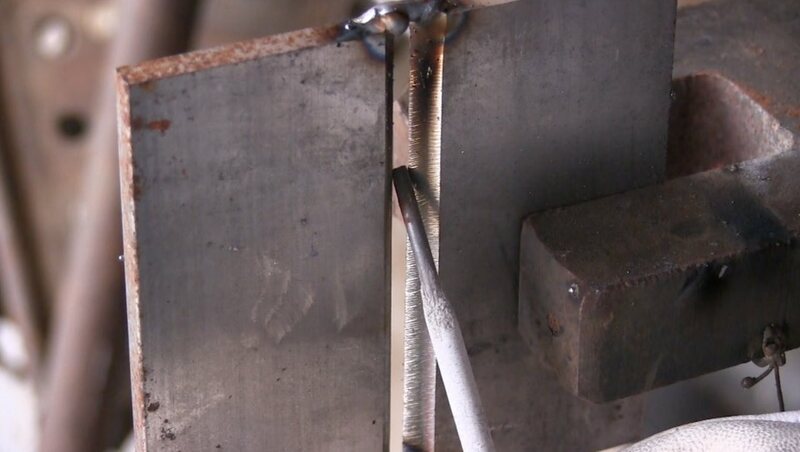 Again, I am not in favor of downhill mig welding using short circuit on anything thicker than 1/8" (3.2mm) but when you you have clean bright metal with no mill scale, and a 37 degree bevel with a 1/8-5/52" gap, downhill mig does a great job. 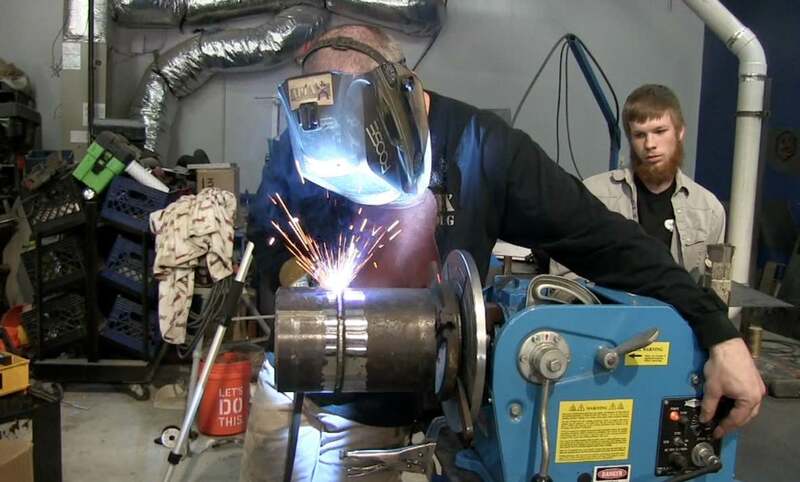 There are even variations of the mig welding process by Miller, Lincoln, and Fronius, specifically engineered for downhill root passes on pipe. 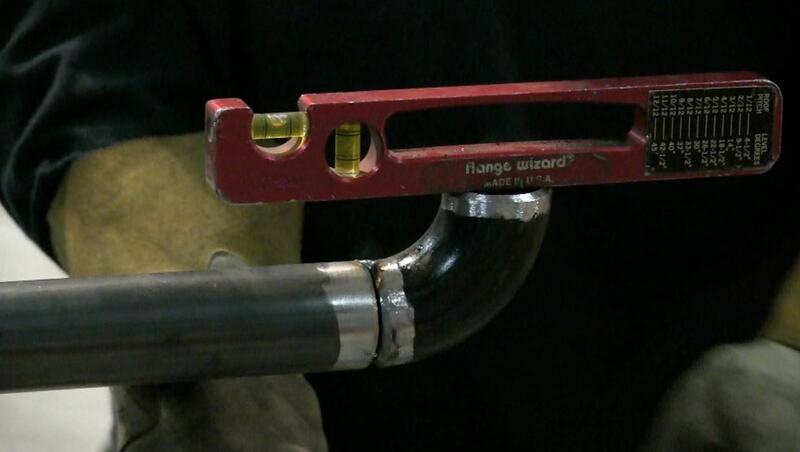 Pipe welding codes differ but in the USA codes like ANSI 31.1 usually provide for a bevel of 37.5 degrees plus or minus 2.5 degrees. A 1/8" gap plus or minus 1/32"
When you have a joint like that, a root pass with downhill mig makes a lot of sense. Fortunately, the same settings that work with plate, will work on pipe. As long as the joint details are the same or very similar. 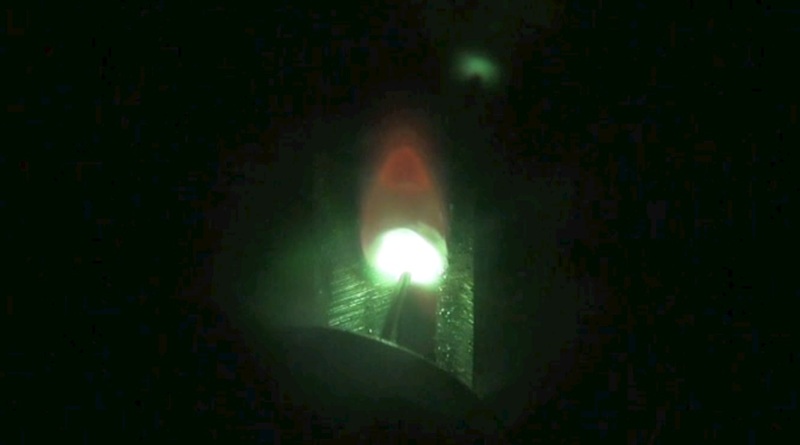 I used 1/4" thick plate with a 35 degree bevel and a loose 1/8" gap to develop the mig settings in an earlier video. Those same settings worked on 6 inch schedule 80 pipe even though the pipe was much thicker. I bought another used positioner off ebay. My older positioner is limited to 1rpm so I have been keeping my eye out for another one that has a higher rpm range so that I can weld smaller diameter parts. I was up late one night and saw a used all fab corp positioner with a quick chuck and I bid on it and got it. Since it is portable, I took it to JDs shop. JD had just finished up a hand rail project and had some leftover pipe and fittings so we spun a few of them on the positioner and tried to dial in some single pass settings that would work.